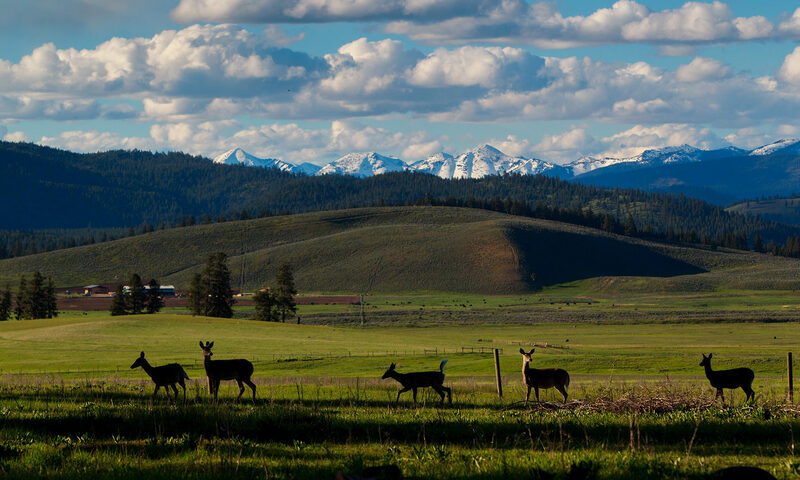 The Resort at Paws Up offers the most private and exclusive guest experience in Montana. There is no main lodge. There are no room numbers or hallways. Instead, our guests can stay in a luxury ranch home or glamping tent, nestled within a forest of tall timbers that overlook rolling meadows, majestic rivers, pastoral creeks and panoramic mountainscapes. Paws Up offers 28 Montana vacation homes, each impeccably appointed in an unrivaled tapestry of rustic elegance and each located on its own private lot. The expansive Wilderness Estates are perfect for Montana family reunions and groups. The Big Timber Homes and Meadow Homes make an ideal refuge for smaller families and couples on a quest for privacy. For a true Montana experience, stay in our historic Morris Ranch House or Blackfoot River Lodge – idyllically situated on the banks of the legendary Blackfoot River. All accommodations blend western-chic decor with a litany of amenities including kitchens, hot tubs, personal transportation, flat-screen TVs with DVD players, high-speed wireless Internet, laundry and more. A great article by Uschi & Kay about the glamping trend and the coolest glamping honeymoon destinations. They included Paws Up in their list. Here’s what they had to say. As one of America’s top glamping resorts, I couldn’t do a glamping round up without including Paws Up, now could I? If you want a luxurious glamping experience in the truest sense of the word then Paws Up is the place for you. With a camp butler, heated washroom floors, and king sized feather beds, this is glamorous camping at its finest. And to make the experience at Paws Up truly decadent, a visit to the tented Spa Town is a must. Mother Nature can’t slow down the construction at Cliffside Camp, our newest and most luxurious glamping experience opening in June. This spectacular view is from the front deck of one of two “honeymoon tents” that will be available at Cliffside Camp. Sweetening the view is our lovely reservations team (from left): Jessica, Sheena, Tira and Nicole. Each stands at the ready to tell you more about Cliffside Camp and to help you plan the vacation of a lifetime at Montana’s premier luxury ranch resort.